One of the most original books in world literature, Lewis Carroll's tale of childhood whimsy has something to offer for everyone with enough curiosity to follow Alice down the rabbit hole. Charles Dodgson, better known by his pen name Lewis Carroll, was an Oxford academic. Dodgson experimented with branches of mathematics, including symbolic logic, that were the precursors to modern computer science. In the summer of 1862, during a boating trip on the Thames River, he entertained ten-year-old Alice Liddell and her two sisters by telling a story that would become his most famous and lasting work, Alice's Adventures in Wonderland. It was published in 1865 and was followed by its sequel, Alice Through the Looking Glass, in 1871. He died in 1898 and is buried in Guildford, Surrey, England. Iassen Ghiuselev studied at the Academy of Fine Arts in Sofia and has devoted his outstanding talents to illustrating childen's classics. Ghiuselev has won many Awards including a Silver Medal from the New York Society of Illustrators in 2005 and the Illustrator of the Year Award in 1994 and 2005 at the Bologna Book Fair. He has illustrated several books for Simply Read Books including The King of the Golden River by John Ruskin, Alice in Wonderland by Lewis Carroll, Pinocchio by Carlo Collodi and The Queen Bee by Brothers Grimm. 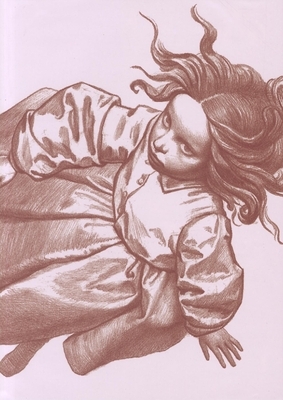 He is working currently on the illustrations for the Alice sequel, Through the Looking Glass. He currently lives in Sofia with his wife and daughter.